Outlook Mirrors Last Winter, But With Less Gas In Storage By End Of Heating Season. By Stephen L. Thumb. SEG 2013 Part 1: Unconventional Plays Drive Geophysical, Computing Technology. By Kari Johnson. Enhancing Well Bore Stability, Strengthening And Clean-out Focus Of Fluid System Advances. By Ryen Caenn. Shifting Market Drivers Keep U.S. Demand Strong For Tubular Products. By Rick Preckel and Paul Vivian. Water Management Strategy Key To Newfield’s Success In Mid-Continent Resource Plays. By D. Steven Tipton. Fiber Optic Sensors Creating New Possibilities For Optimizing Fracturing. By Glenn R. McColpin. Developing Tools, Practices For Artificial Lift Applications Critical In Horizontal Wells. By Cleon Dunham and Cem Sarica. 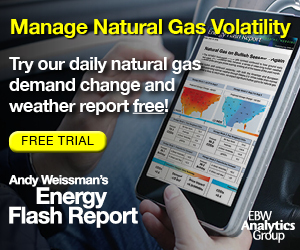 Growing Northeast Production Prompting Historic Market Shift, Redirecting Gas Flow Patterns. By E. Russell “Rusty” Braziel. Advanced Measurements Reduce NPT On ERD Wells. By Daan Veeningen. Unconventional Plays Touching Off Renaissance In U.S. Manufacturing Sector. By Ross Eisenberg. LLOG Achieves Several ‘Firsts’ In FPS-Based Development Of Deepwater Who Dat Field. By Rick Fowler, Eric Zimmerman, Jay Cole, Ed Nagel, Harris Knecht and Eldon Robison. Conventional Oil Drilling Strength May Be Hiding In Unconventional Activity Trough. By Bill Campbell.